Overcome the Obstacles to Your Happiness and Freedom! Let us be your guide to conquering your chronic pain without drugs or surgery! What obstacle can we help you overcome? You don't have to live with pulsing, throbbing nauseating pain. Migraines are often a result of a problem at the cranio-cervical junction. Our drug-free approach addresses this critical area. Pain in your neck or back that is radiating down your arm or leg, can be addressed. 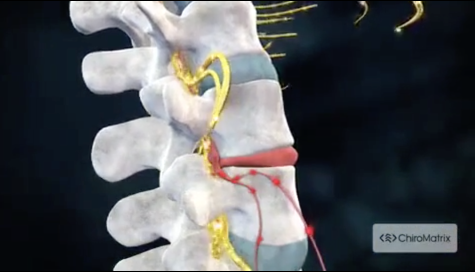 Our gentle drug-free approach to the spine restores function, eliminating tension and relieving pain. Cutting-Edge treatment and technology are helping pain sufferers avoid knee replacement and stay active in their 50s, 60s, 70s and even 80s! Let us give you a plan that will not only relieve your pain but also show you how to prevent foot pain from ever being an obstacle to your happiness and freedom ever again. Call us at (417) 935-2471 today. For more information or to schedule an appointment with our Seymour chiropractor, call (417) 935-2471 today! Serving Seymour and the surrounding area, Dr. Paul Hambrick and the rest of the team at Functional Chiropractic & Wellness are committed to providing functional chiropractic solutions to address your unique needs, whether you are experiencing chronic pain due to: back pain, neck pain, headaches, knee pain, foot pain or peripheral neuropathy. Even if you looking to improve your overall health, our chiropractor can help you attain your everyday wellness goals! Visit our testimonials page to find out what our patients are saying about our Seymour chiropractor and our cutting-edge procedures. At your first visit to Functional Chiropractic & Wellness, Dr. Paul Hambrick will give you a complete neurological exam to determine the exact nature of your dysfunction. He will then customize a plan of care for your condition and health goals. Please email us or call (417) 935-2471 to receive answers to your questions from our experienced team. We also welcome referrals, so we invite you to share our chiropractic and wellness information with your friends and loved ones. "Dr. Hambrick is very professional and good at what he does! With his state-of-the-art equipment and training he is able to help with all kinds of issues, not just chiropractic. I would highly recommend him to anyone needing health services." "Helpful, friendly staff! Great experience!"